John's Seacoast NH Real Estate Blog: Want To Sell Your House? Think "Perfect Crime"
Want To Sell Your House? Think "Perfect Crime"
Getting your house SOLD these days may require extreme measures. No, I'm not suggesting you break the law, but I do suggest you think "Perfect Crime" when preparing your house for sale. Today's buyer is like one of those detectives in the old movies. Leave them the smallest amount of evidence and they will find a way to use it against you. Successfully selling your house requires LEAVING NO EVIDENCE at the scene. Prior to listing, remove all evidence of YOU and YOUR lifestyle. All personal photographs, awards, diplomas and degrees. All political and religious items. All medical equipment and medications. All hobbies and collections. Think of these things as DNA or fingerprints that reveal your identity... make sure you wipe the house clean of them. Be prepared to flee the scene at a moments notice. Keep a laundry basket or plastic tote by the door for quick pick-up and removal to your getaway car if your agent calls with an unexpected showing request. No house is perfect. You, better than anybody, know what the negative features are within your house. They may be the reason you are moving, but they shouldn't be the reason you "serve time" sitting on the market. Committing the perfect crime requires strategic planning and staying one step ahead of the authorities...this is where your accomplice, a professional Home Stager, comes in. A Home Stager will show you how to minimize the negative and highlight the positive features of your house. Their experience at identifying and removing telltale "red flags" will prove to be invaluable. Sharon, with you permission I would like to send this to a client who insists on leaving up a number of religious artifacts...it would help my case coming from an outside source and a stager like yourself. Kathy: Thank you! 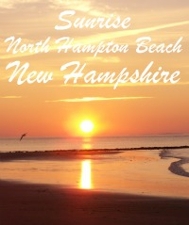 I love partnering in crime with New Hampshire sellers as much as you do with Florida sellers! Steve: Go for it! Hope it helps! Another great post Sharon! I also found as a recent seller that this process helped us "let go" of the house as it didn't really feel like ours anymore once we had put away many of the items that made it ours.This was especially helpful for our children. Clever and fun Sharon! I am thinking it should be illegal to put a home on the market without having a staging accomplice. It's no wonder Sellers who don't have to do the time! Suggested! Brilliant post. Where do you get your ideas? Must be from hanging out with those little ones. Good morning Sharon. Great title and wonderful information here. I am going to suggest this too. Have a great weekend. Sharon, you come up with the best analogies! Well done! Deb: That's a great point...the process does help the seller let go. Laura: That's right! Sellers without an accomplice end up doing time! Peg: Now why didn't I think of that? "CSI Ready" is a great way to put it! Julie: Thanks, but are you suggesting my sweet baby grandsons have criminal minds? LOL! Sheila: I appreciate that, thank you! Hope you have a nice weekend as well! I love, love, love this analogy Sharon! I sure wish I had thought of this...but, since I didn't and you did, I just must hit the suggest button. I may come over and reblog....aahhh the perfect crime :)! Love the post and well written, most enjoyable to read! I like the analogy you used here Sharon! Well done my friend! Very clever way to get the point across - and I think humor always makes it easier for a seller to hear the info they need to take to heart. Sharon, love the creativity and it really does give the idea of staging a new spin-humor is definitely what the doctor ordered in this market! Brenda: Thank you! I love, love, love your enthusiasm! Wendy: Glad you enjoyed it! Nancy: Humor is a great people skill's tool! More fun way to deliver the message. Joanna: There you go...."what the doctor ordered" can be your next blog post! This blog is incredibly amusing AND full of good advice! Thanks for a laugh and a "hmmm..", Sharon! Bravo! Clever, fun, witty and infomative post Sharon............love the analogy! Sharon, fabulous blog. This is such great advice to homeowners who want to get the best price and a faster sale. Very creative and fun to read! Hi Sharon--it's already been said, but bears repeating--what a super analogy. You are so creative, and this is one of the best staging posts I've read in a while. Fred: I'm so glad you enjoyed it! Thank you! Janet: That's quite the compliment, thank you! Excellent post, Sharon. I have a feeling your Staging is as creative as your posts. Well done, once more. Again. Lloyd: Staging usually requires creativity, I'ld be lost without it, LOL! Thanks! All wonderful advice from my wise wise friend! I actually had one of my sellers yell at me this week when I complained about the mess in his house. "We do live there you know!" Some people just don't get it. Sharon ~ what a cute and clever post! It makes perfect sense that sellers have to remove all "evidence" of themselves in order for buyers to see themselves living there. Sharon, what a fun way to look at preparing your house for sale process. I suggested it too. Love your post, you paint a great image. Debra: Awww, thanks! Yelled at you, huh? Not exactly the type of client I would want to work for...you deserve better! Maureen: I'm glad you enjoyed it! Anna: I appreciate that, thanks! Alexandra: That really means a lot to me....I wish my writing came easy to me, but it doesn't. It is a struggle - I'm usually very happy with the result, but it's so much work! Kevin: And yet...that's what so many sellers are still doing....slapping and crossing! Tara, I had to stop by and say Hello...Roger Mucci did a post on you today and you are good peeps! Kristin: I was so touched by Roger's post. What a sweetheart he is! Thanks for stopping by...I would have done the same thing...if Roger says someone is worth a peek, I head right over too! Now I have to live up to his hype! Good morning, Sharon. This post grabbed my attention. Immediately I was drawn into the storyline. I do believe your story could easily be spun into an MCE class. Realtors are often challenged by sellers who mean well, but don't understand how leaving their DNA behind can often work against them instead of for them. Realtors are there to sell the house, not the owners life style or personal beliefs about politic and religion. When it comes to selling homes, be like Switzerland - stay neutral and you'll get your home sold quicker. I suggested it! Patricia: Thank you! I think you are right, a class could be in order! Thanks for the suggest too! Barbara: Glad you find it reblog worthy! Sharon, this is just a delightful bit of great advice. Made me smile! Hey, Sharon! I included this post in Last Week's Favorites. Have a great Sunday! Patricia: Glad you smiled and so glad to be included in the favorites! Thank you! Debbie: Better late than never, LOL! Glad you enjoyed it! A wonderful twist on a common problem we have in selling homes! Should be required reading for all sellers. Why don't they LISTEN???? I have never thought of it that way but you are certainly correct! And you didn't even you the word declutter! haha! You were thinking it though I am sure! Love this post! Especially the creativity you have shown in the analogy! That's good. Too bad the people who pick features didn't pick this one! Melissa: Some sellers are just stubborn! I've been lucky lately to have great clients who are willing to do what is necessary to get their house sold. Rosalie: Glad you enjoyed it. It's always a challenge to avoid the word "clutter" - it's so ingrained in our heads! Russel: Thank you for that! I really appreciate it!! I suggested this one too! Great post. You are soooo right. Make your statement, then leave. Sure hope you posted this one on my outside blog! John: Thank you! I did post it on your outside blog. Glad you liked it! Sharon, this is a clever way to relay the message of prepping your home. I really like the idea of a laundry basket at the escape route for conveniently removing stuff. Jacque & Larry: Thank you! Having a basket near the door to throw everything into and then take with you is so helpful to sellers.